We are pleased to announce the release of Office Chat 2.7 for all platforms. This release includes the following new enhancements & improvements and is scheduled to go live between Nov 2nd & Nov 10th, 2017. 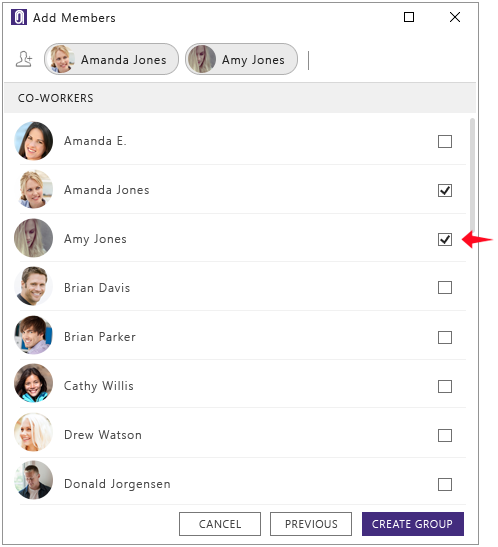 Create New Group: There is now a 2 step way to create a group which allows you to give it a name, assign a picture and configure settings in step 1 and invite co-workers in step 2 of the create group flow. 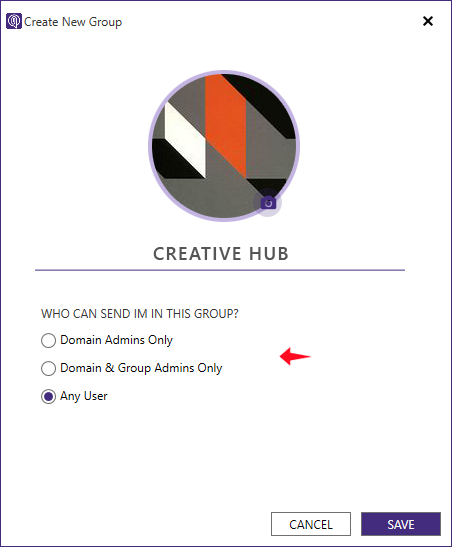 You can access this new option from the top menu under ‘Add Users And Groups’. 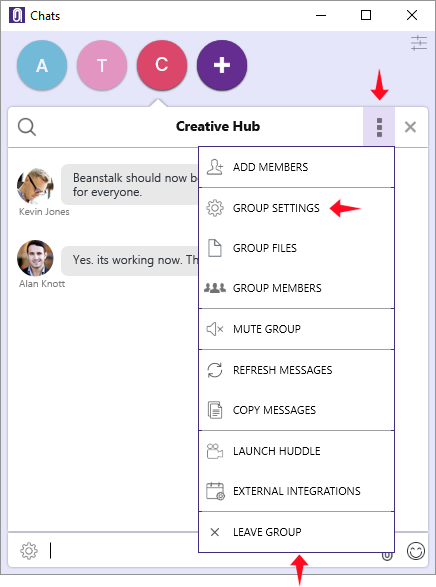 The existing way of starting a new chat with a set of people which also creates a group is still available if you prefer that way of creating a new group. Group Chat Menu & Group Settings: The actions in the group chat menu have been re-organized to make it easier to find and use. 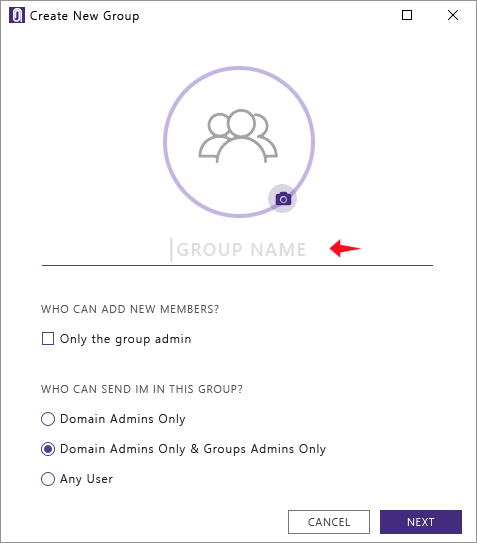 The group settings UI has been simplified to make it easier to configure the settings for group that you’re the admin of. 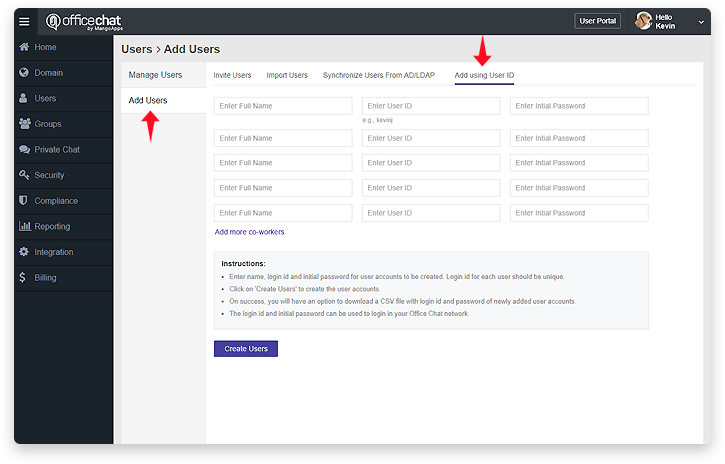 New User Signup Improvements: If you have users in your company signing up from Office Native Mobile apps, the experience has been simplified to ensure that they’re are able to join your company domain with ease. Remember me settings: Even when the user had the remember me setting turned-off, the login id/password values were being remembered by the client. This issue has been fixed in this release. Native Image viewing: When a image shared in chat window was clicked it wasn’t automatically opening in the native full viewer. The user had to download and view the image. This issue has been fixed to open the image on click directly in the native viewer now. Video viewing: The size of the video player that opened by default was very small to view. This has been resolved in this release. For Active Directory/LDAP integrated domains users were able to attempt change password from the clients which shouldn’t have been allowed. This issue has been fixed in this release. Crash when a media was attached from the photo gallery has been fixed. Forgot password screen in the non-logged in view now has captcha protection from spammers.